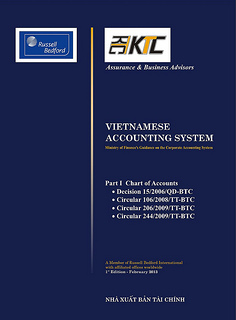 In general, VN GAAP for business enterprises has two main accounting systems. One is for industrial enterprise and the other is for credit institutions. Chart of accounts for these two systems are regulated and quite rigid. Modification is not encouraged by the Ministry of Finance. There are a number of global companies come to Vietnam find difficult to map their global chart of accounts into the local one since the chart of accounts in compliance with IFRS is relatively suggestive while under VN GAAP is compulsory.